When I saw World War Z last week I had my usual notebook on my lap and plans to write up a post about the film shortly after but by the end of the screening I had absolutely nothing to write about. Having argued for years that stereoscopic effects always add something to a film, no matter how subtle, I was for the first time at a loss for anything to say other than, you might as well see it in 2D. This seemed the end of my thoughts on the film and my notes were shelved until I watched Pacific Rim at the weekend and realised it offered a good comparison as to what can and can’t be achieved with 3D cinema techniques. Both films offer some type of post-production 3D conversion. Although Pacific Rim can be more aptly termed a hybrid conversion because of the work done to composite the CG shots as native 3D (i.e. creating a separate left and right eye view for each of these shots), much of the footage was shot in 2D and World War Z was fully converted in post. 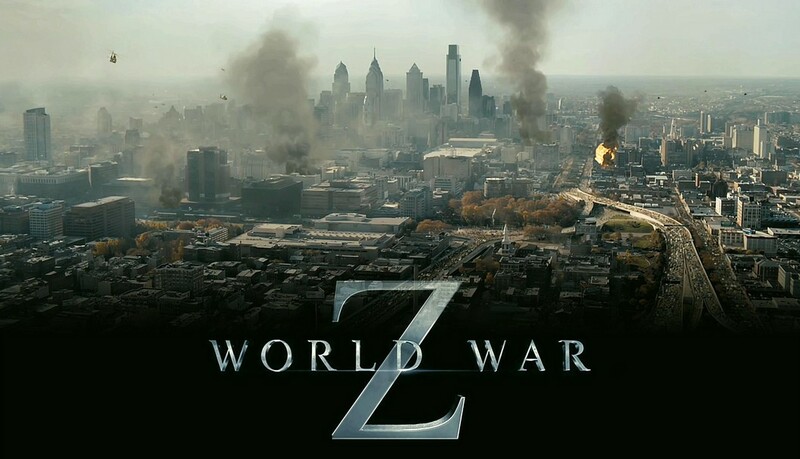 Neither film was originally envisioned in 3D (Guillermo del Toro initially had the 3D process forced on him by the studio and Paramount did not announce that World War Z would be in 3D until early this year. However the outcome in each film is entirely different. 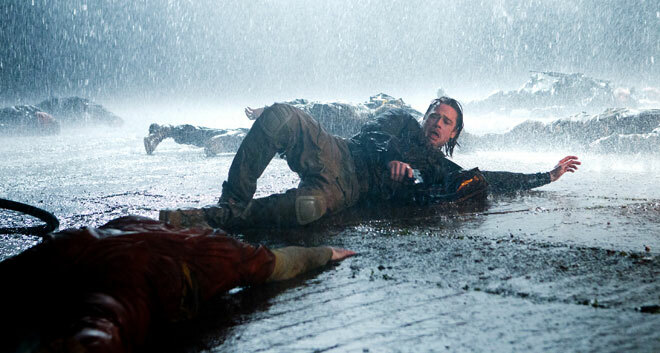 In World War Z there is very limited depth budget throughout the film and frequent shallow depth of field. One of the few effective uses of added depth is in the scenes when protagonist Gerry Lane’s family escape to the roof of a large apartment block in order to reach a military helicopter. As the family flee attacking zombies, overhead shots peer down long stairway shafts and a greater depth of field is used in the perspective-oriented shots of corridors. What this does is offer a glimpse of what the stereoscopic possibilities might have been if more effort had been put in to conceiving of the film in 3D. There is very little use of overt negative parallax in the film: rain falling in the scenes outside the Korean military base; dust particles and embers floating into the auditorium while Gerry visits the base’s burnt out prison cell; and some stereoscopic debris during action sequences in Jerusalem are all. All of which is in complete contrast to Pacific Rim. 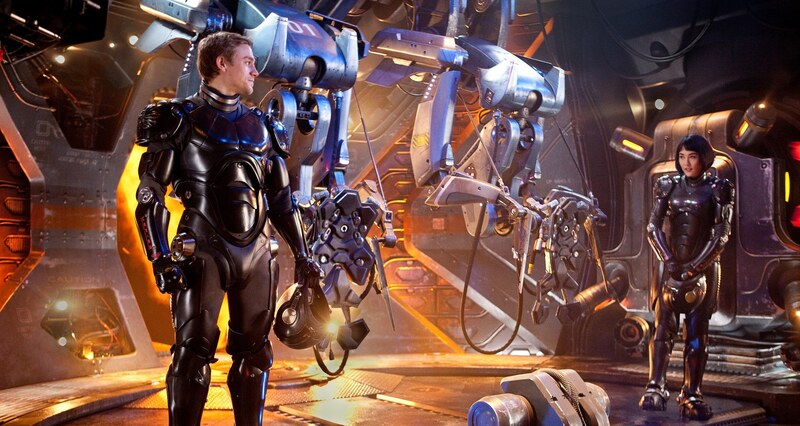 Pacific Rim begins with stunning shots created by virtual cameras moving into a star scape. There is a sense of depth relations between the stars that is impossible to perceive with normal human vision. In this way, the film indicates from the outset that is will demonstrate spectacular imaging that is beyond anything we might normally perceive. As the virtual cameras move through it, the field of stars in negative parallax seems amongst us in the auditorium. 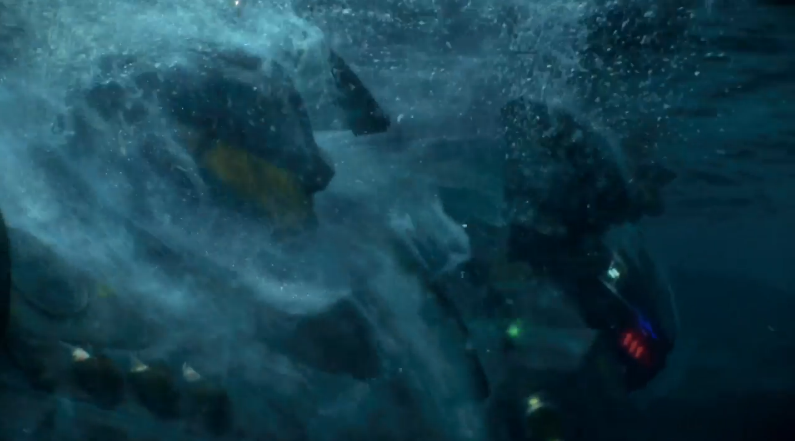 The stars then slowly shift into bubbles and particles, creating the typical aquatic thick space of underwater 3D as the cameras move down to the Pacific breach that is the source of the film’s monstrous intruders. Fish swarm toward us and a type of blue lightning shoots into the auditorium. In these short opening shots, all of the most spectacular tricks of the 3D trade are utilised in a forceful assault that takes negative parallax usage to a greater extreme than has been seen in recent blockbusters. This tendency is continued in the following scenes of exposition that shows the film’s Kaiju monsters attack San Francisco. Uprooted cars and aeroplanes fly out towards the viewer and the virtual cameras partially dip beneath the bay’s waters, creating a liquid bridge between film and audience at the bottom of the screen space. The intense play upon the senses in these opening scenes, aided by dramatic surround sound and sweeping camera movement that seem to take the viewer on a giddying ride, lead to one of the closest approximations of an immersive theme park experiences in recent cinematic history. I should be explicit about where I saw the film, as I am certain this had an effect on my viewing experience. I watched it in the biggest and most technologically up-to-date screen auditorium at Wellington’s central multiplex. The screen offers Dolby 7.1 sound along with two projectors to maintain high illumination across the giant screen. For me, the sensorial impact was such that it became almost impossible to respond in measured cognisant ways to the opening scenes but, rather, there was the sense that feeling and direct perception were overwhelming any attempt to take an analytical distance from the film. Although the film lowers the levels of this sensory impact after its initial opening and does not raise them again until major action scenes, there is a continued use of overt negative and positive parallax space that suggests a deep screen field in which viewer and film are bound together. Throughout the film, there are many water-based scenes and liquid frequently gushes towards the viewer. There are also various snow scenes where the flakes flutter and swirl around the audience’s space. Although there are some shots with racked focus, the majority have a sense of deep space that is crystal clear throughout. In another continuation of the trend initiated in 3D science fiction, translucent holographic screens sit on different depth planes so that action can be seen through them yet quantified in terms of its spatial relations. These particular screens are made mainly of four transparent optical discs, each one containing a different layer of information. They are a reminder of the illusion of visual tricks in a world in which boundaries between the virtual and the real constantly blur. This factor is most apparent when the pilots of the giant Jaeger machines have trouble separating their shared visual memories from reality. These Jaegers also display the capacity for stereoscopic effects to emphasise enormous structures. Although complaints have been made that 3D films (particularly those from the 1950s) have a tend to miniaturize objects and figures, in Pacific Rim the stereoscopic effects seem to do the opposite and the depth planes are used effectively to make the top of the machines stretch far away from the audience. My only reservation about the use of stereoscopic technology in the film is that the mid-shots of characters often give them a somewhat planar look as if they don’t have the same rounded stereoscopic depth as other parts of the film. Whether this is one of the limits of stereoscopy or due to the way in which the live-action footage was post-converted into 3D is something that I am not certain about. 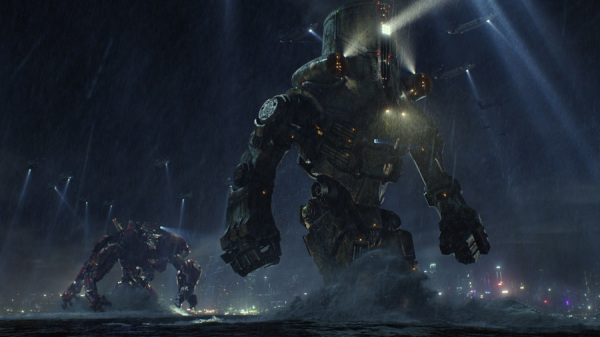 Although Pacific Rim’s debt to Japanese monster movies and other traditions are clear, it is also firmly setting itself amongst a tradition of recent 3D science fiction. Similarities with Avatar (2009) can be drawn not just through its spectacular creation of a new world but through direct visual referencing such as the virtual tunnel the cameras swoosh into when characters enter a tele-connected relationship with their machine avatars. At the same time, comparisons can also be made with other 3D films such as John Carter (2012) and Hugo (2011) that mix old and new technology in a steam punk style. In Pacific Rim, shots lead the viewer to, through and around an array of mechanical parts: pistons, valves, rotating wheels and cylinders. Stereoscopic depth emphasizes the contours of these objects and how they relate to one another. Yet even though I found Pacific Rim to be one of the most spectacular film experiences I have seen in recent years a creeping sense of frustration set in as the film tried to develop its characters. Although the plot is not nearly as poorly constructed as World War Z, Pacific Rim’s dialogue and character action fails to live up to the film’s visual wonder. For me, the first strong realisation that this was the case came with the introduction of Dr Newton Geiszler and Dr. Hermann Gottlieb who were overworked as the comedy duo. Rather than proving witty relief, Gottlieb’s awkward tics seem out of place with the rest of the character development. 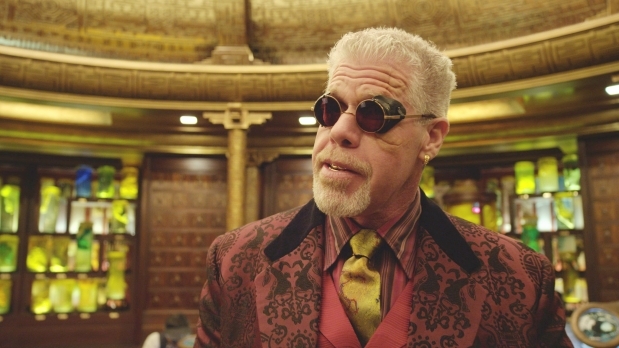 With the even later introduction of the larger than life Hannibal Chau , it becomes apparent that the film should have started with these gregarious characters first in order to let them set the tone. Instead, they follow more down to earth characters, particularly protagonists Mako Mori and Raleigh Beckett and the difference in characterisation doesn’t flow together. This is exasperated in the character Stacker Pentecost where the film cannot seem to decide whether he should be solely one-line clichés or a character with greater complexity. Adding to Max Martin’s atrocious acting, the script struggles to provide any wit or finesse but instead drags down a fascinating story idea and visual exploration of its themes. 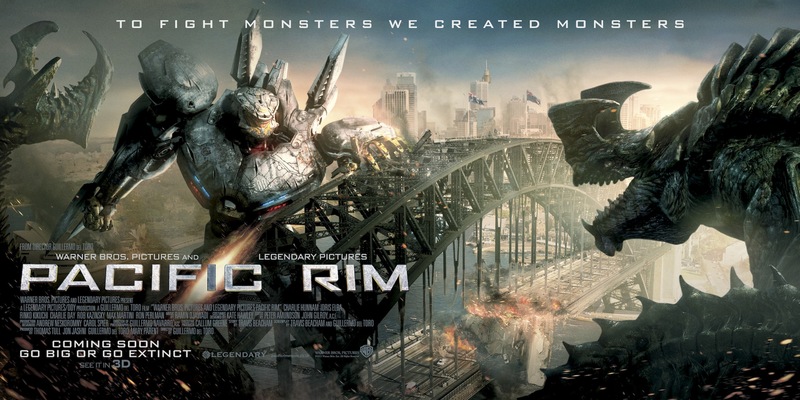 Pacific Rim demonstrates what stereoscopic technology can achieve in terms of visceral and sensational effects, particularly when the viewing conditions are state of the art. World War Z, on the other hand, proves the extent to which 3D processes can function as a money-making add-on with little artistic development. However, both films attest to the way in which, no matter how sophisticated the visual field may be, a poor script will always let the film down. This is not to say that I am joining the camp of critics who suggest that narrative is the most important part of filmmaking. I still favour many films that privilege visual and audio development over narrative concerns but a bad script (unless intentionally so bad it is good) can always detract from and ruin these developments.